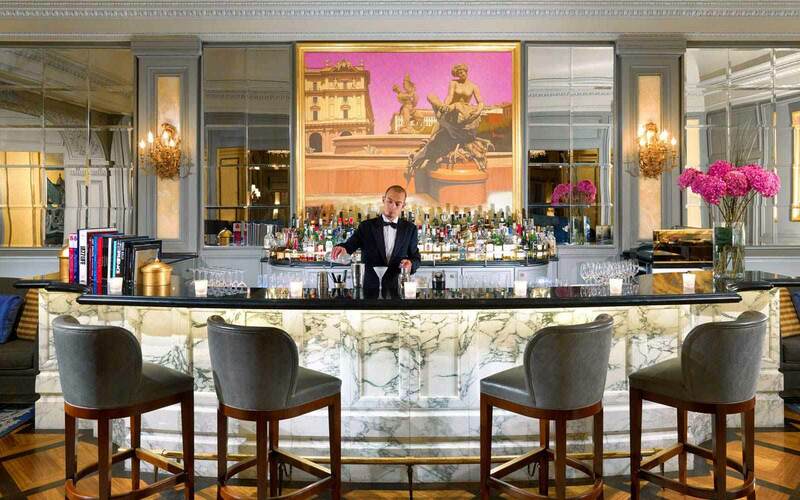 Sumptuously luxurious, The Hotel St. Regis Grand was named in Condé Nast Traveller’s 2007 Gold List, following a meticulous $35 million restoration. 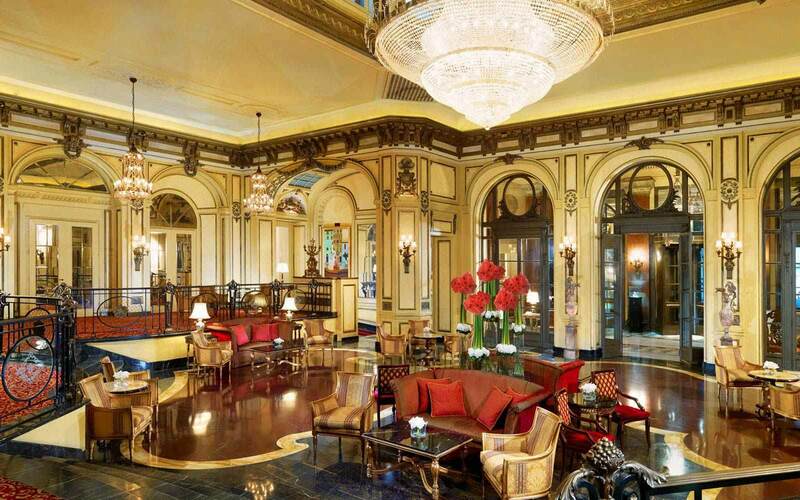 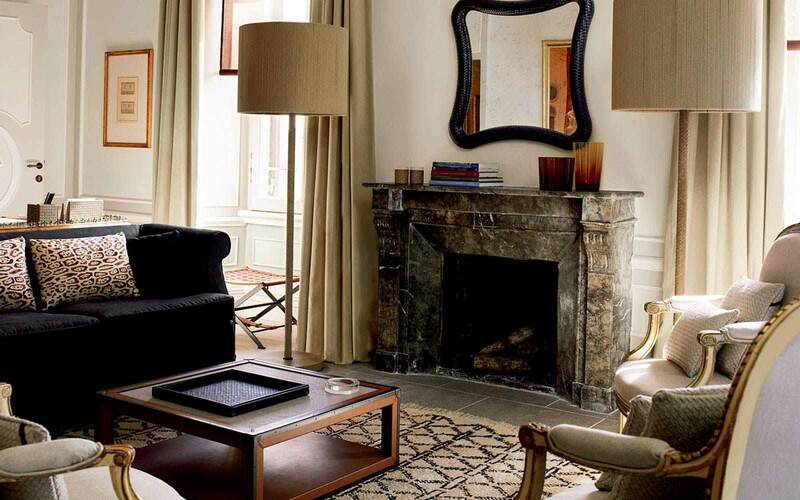 Opulent interiors and an austere façade add to the seductive atmosphere of this landmark hotel. 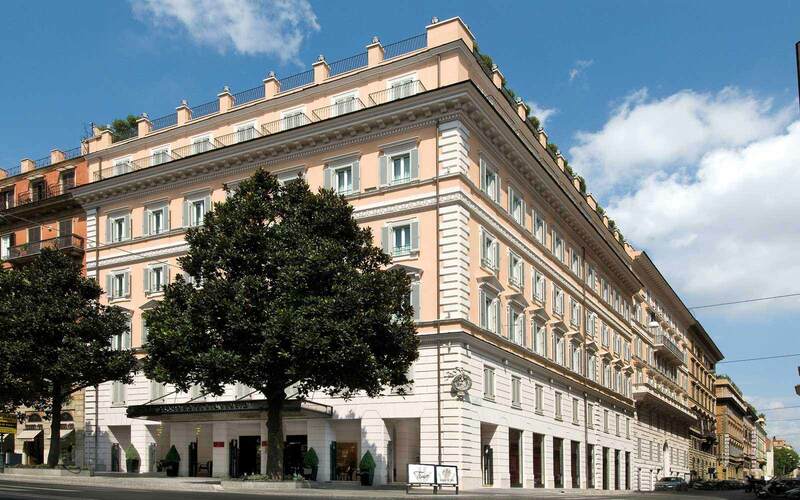 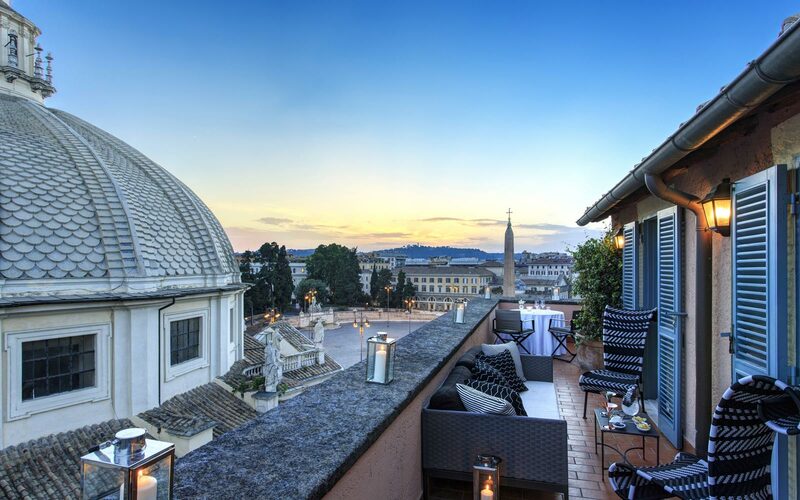 Built in 1894 as the first 5-star deluxe hotel in Rome, The St. Regis Grand is within walking distance of the Spanish Steps, the Trevi Fountain and Via Veneto. 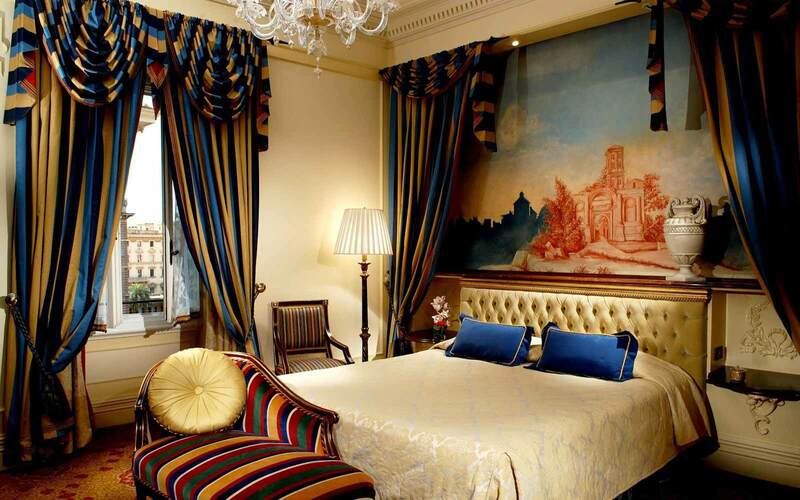 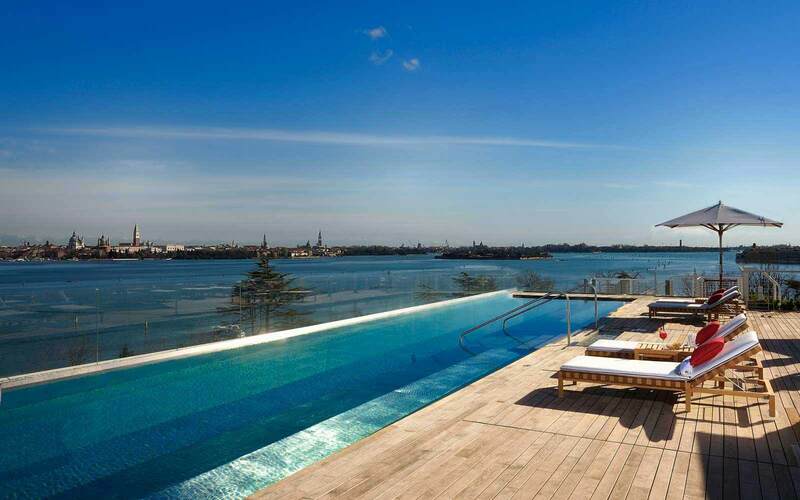 Luxurious furnishings and elegant decorations reflect the unique style of this prestigious hotel. 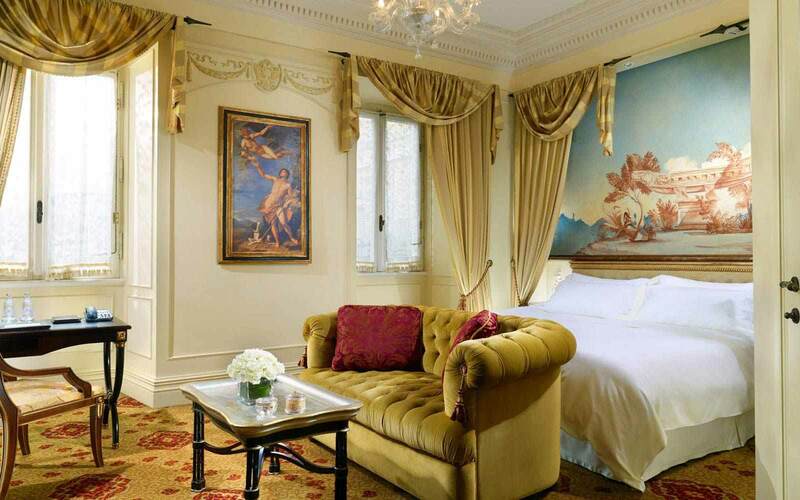 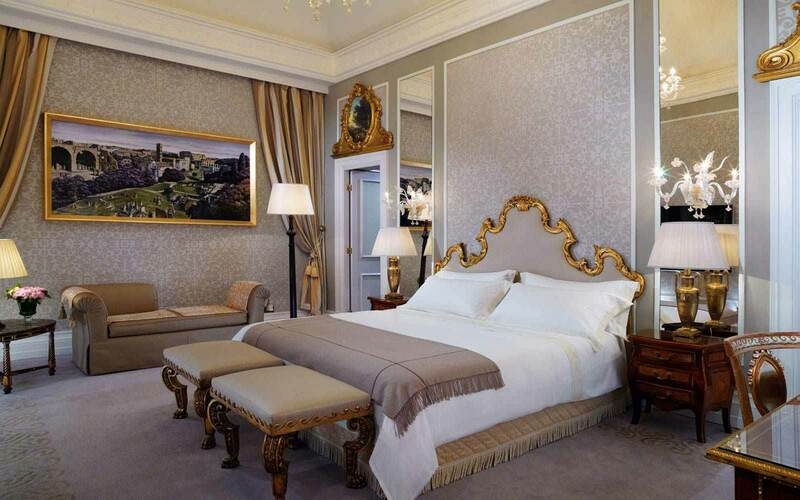 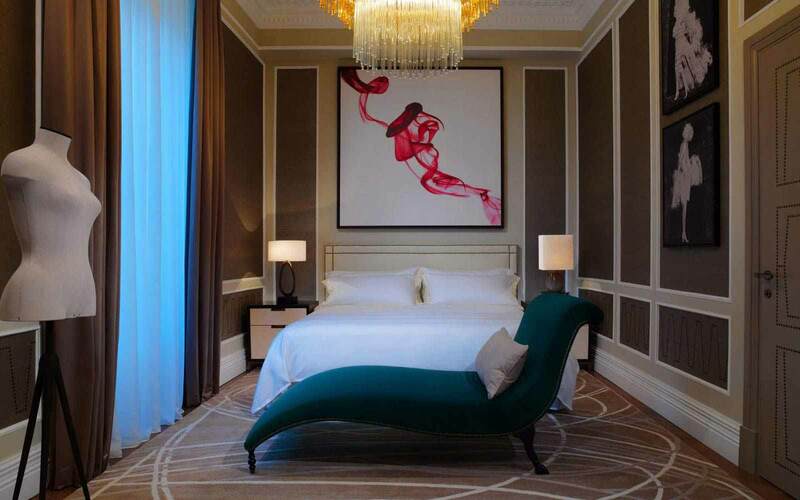 Each of the 161 guestrooms feature a unique identity and are exquisitely appointed in a combination of Empire, Regency and Louis XV styles. 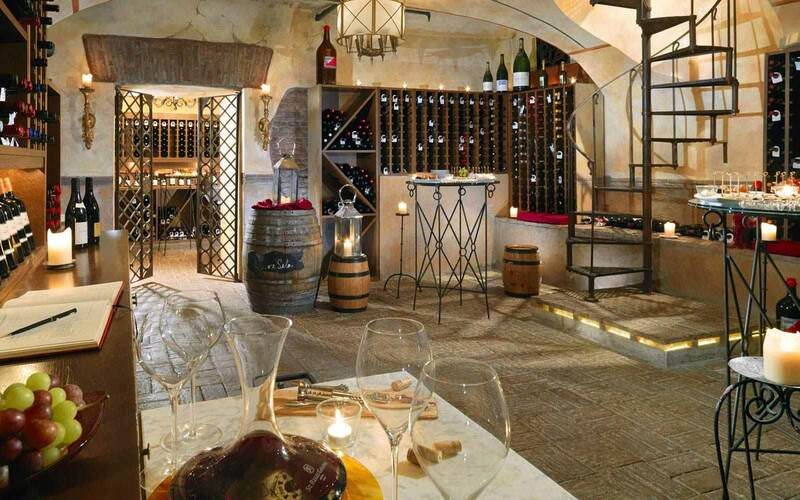 Dine at Restaurant Vivendo, which has become the spot for Italians to see and be seen. 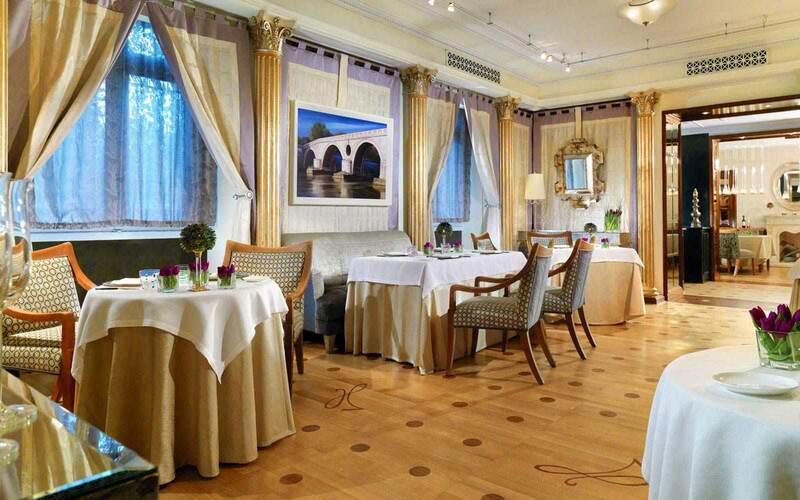 Here you can enjoy signature dishes prepared in innovative ways by award-winning chefs such as Francesco Donatelli. 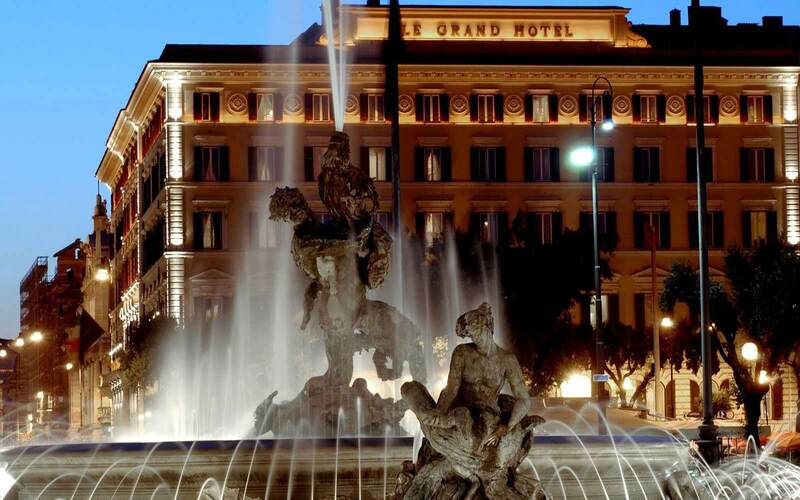 Open throughout the day and evening, either for a quick snack or light meal, Le Grand Bar is the ideal place to relax and take in the atmosphere of this historic landmark of Rome. 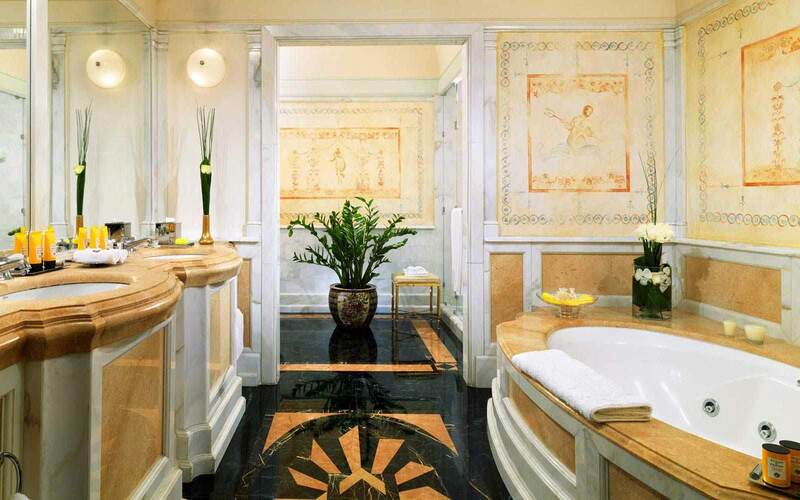 Satisfying the desires of the most discriminating guests, the 24-hour butler service ensures all needs are met quickly and effectively. 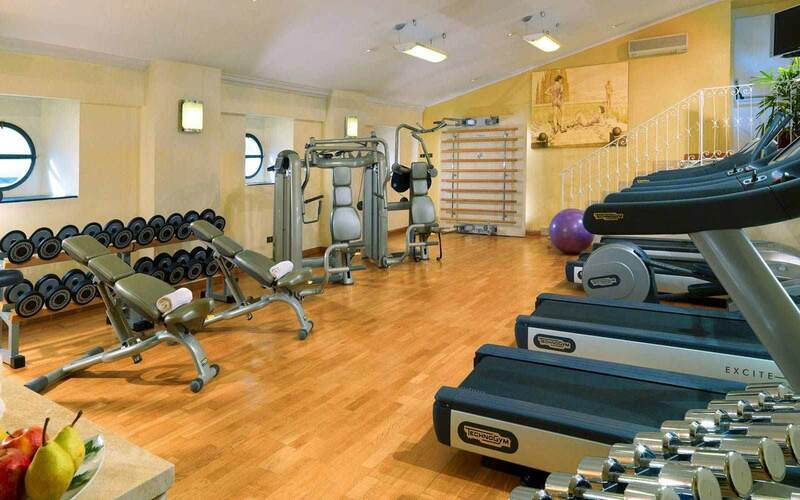 There is a modern Fitness Club at the guests’ disposal.